Little Peach hands down makes the best hot chocolates I have ever tasted. They are exactly what a hot chocolate should be... flavoursome, sweet and extremely chocolatey. Besides their delicious hot chocolates, they make some mean toasted sandwiches! 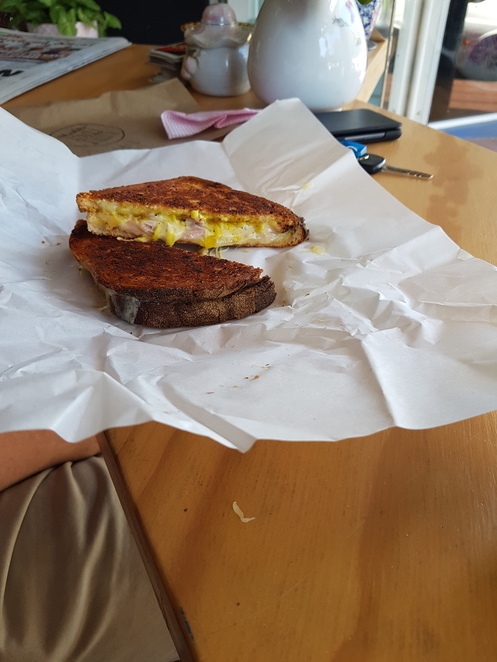 I had a toastie dubbed the "Kevin Bacon" which was evidently filled with bacon, along with other ingredients including caramelised onions, cheese and barbecue sauce. My friend had the "Nanna Bear" toastie, which looked equally as scrumptious as mine tasted. We ate our toasties and drank our hot chocolates seated on stools overlooking the park across from Little Peach. We played a few rounds of checkers and Uno using the cafe's decks. 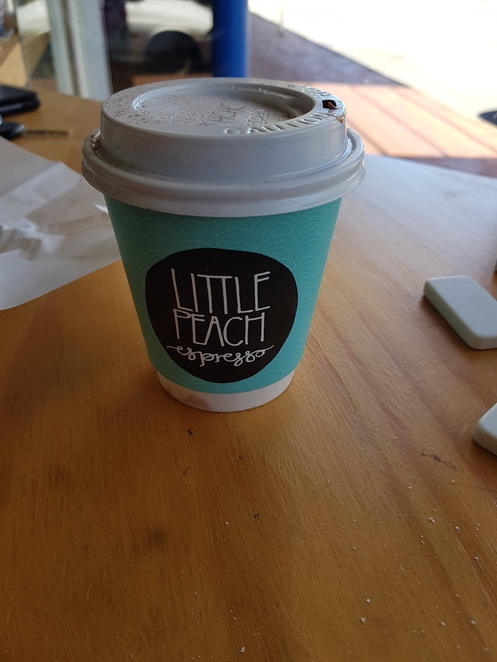 It is an adorable cafe which I have taken to visiting whenever I am in the Busselton area and I urge you to check it out as well.